Organic and Natural Facial skin products, including Eminence and Mountain Body Products. Rich pigments provide brilliant color & definition. Wet or dry application for soft or dramatic looks. Keep your face hydrated at home or on the go! Available is 5 botanical forumlations. Colorscience Lip Pencils deliver perfect long-lasting color in six wonderful shades. Pure aloe blended with healing Jojoba- perfect for after sun! A healing green lavender clay face and body mask, perfect for relaxing facial treatments and after sun, that pulls impurities from the pores while toning the skin. Healing Dead Sea Mud for face and body. Brightens dull skin and leaves a radiant glow. 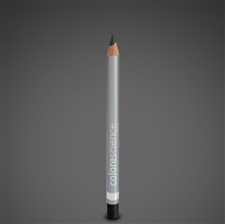 Pure mineral pigments glide on weightlessly for perfect cake-free color. Available in six wonderful shades. Gentle exfoliation removes impurities and helps to prevent milia. Smooths and revitalizes the eye area while infusing antioxidants and vitamins to the most delicate area of your face. 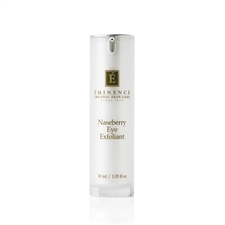 A cream cleanser for maturing skin with antioxidant-rich acai berry. Naturally-derived hyaluronic acid and seabuckthorn oil to help reduce the signs of aging and restore elasticity for a more youthful appearance. Deactivator for use with enzyme, glycolic and lactic peels Eminence Starter Sets are beautifully packaged with a one months supply of targeted organic products to treat your skin.